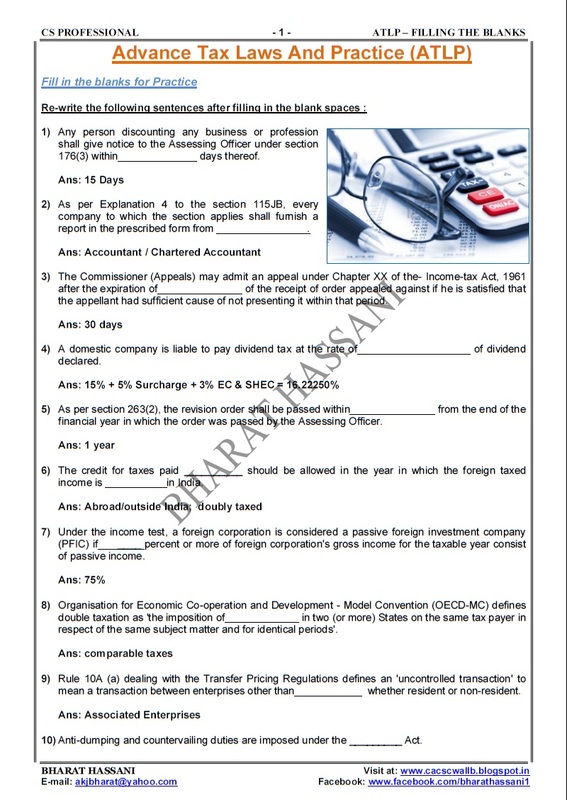 Here we are providing the Solved Fill in the Blanks of Advance Tax Laws and Practice (ATLP) for CS-Final (Professional Programme) Students. 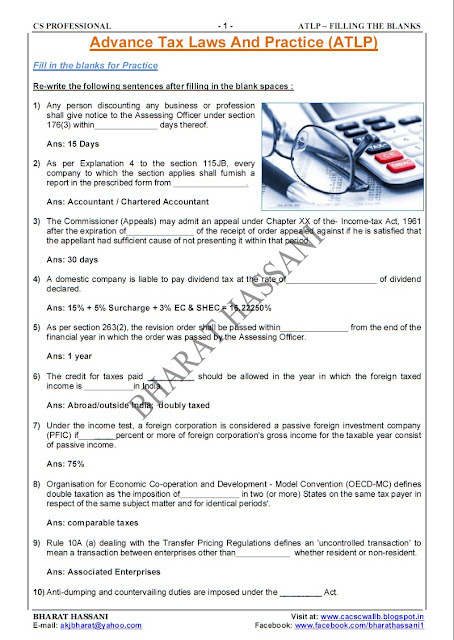 CS-Final (Professional Programme) Students can download Solved Fill in the blanks Questions of Advance Tax Laws and Practice (ATLP) for the examinations. Students can download the Questions in PDF file format and practice for their better performance in CS Examinations.